With Mother’s Day in our hearts, we’re celebrating the strong women of the Vale and the inspiring mothers that we have in our local community; juggling work and family lives, running successful businesses and, all while making time for family. Here we focus on Esme Mason: mother, business owner, pioneer. The Masons Group are a family run business who have been operating in the Vale for over 100 years. We were very sad to hear about the passing of Esme Mason, Doyenne of the Welsh removals industry and the centre of the Masons Group, just before Christmas. In tribute to her inspiring life, we spoke to the team at Masons to find out more about Esme. It all began with Eric Mason, a RAF veteran, and a second-hand Luton Army Truck in 1905. 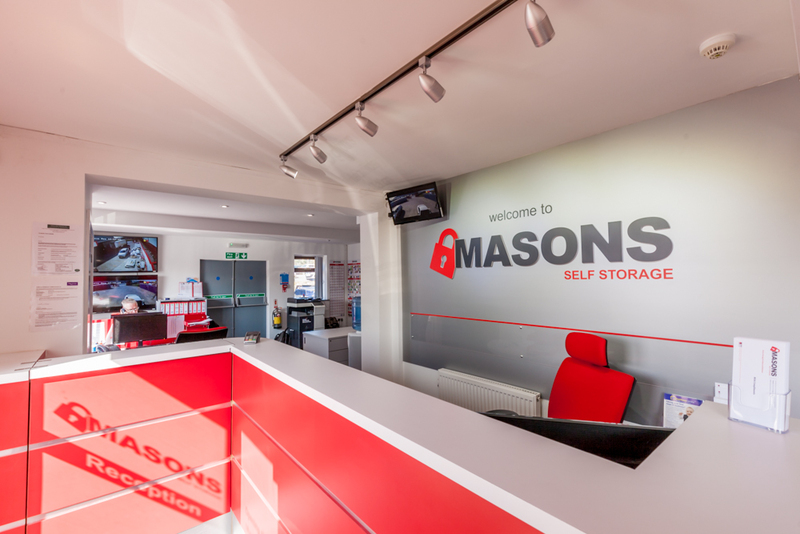 Today, the group is run by a fourth generation of Masons and spans three different industries: removals and storage, Masons Self Storage and The Business Centre’s serviced and virtual offices. Esme had been working on the busses when she met Eric in the late 1950s and it wasn’t before long that they were married in 1959 in Cardiff! Esme joined Eric working for the family business almost by accident. She was asked by Eric to cover for his secretary in the office one afternoon and she never looked back! She continued to support Eric and the business whilst raising the children. However, when Eric sadly passed away in 1983, leaving Esme with four children: Gordon, Brett, Sarah and Richard, as well as a business to run, Esme had to take the reins. Her eldest son, Gordon, remembers that when Eric died in 1983, they were faced with a choice: “We either had to shut up shop and walk away, or take it on and make it happen.” They made it happen and Masons Moving Group became Esme’s fifth child! An inspirational woman, Esme was working in a largely male-dominated field at a time when women were expected to be at home looking after the children. Esme retired 53 years later, having helped build Eric’s small business into one of the UK’s leading removals and storage companies. 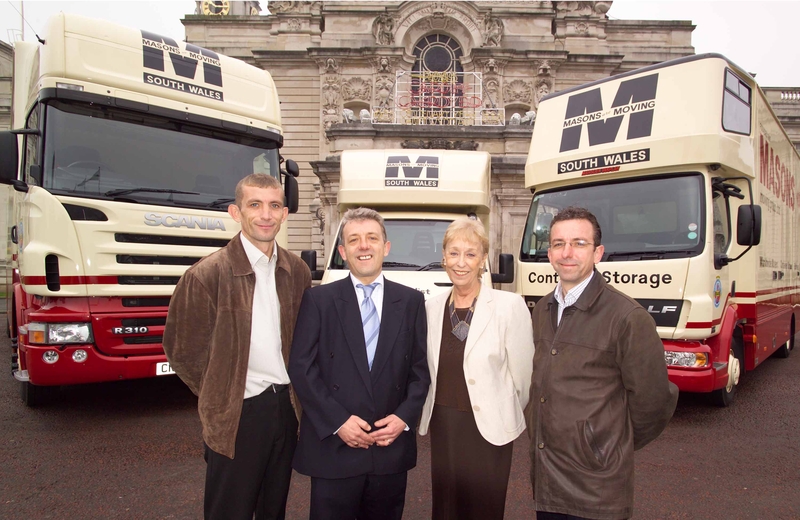 In the 1990s, whilst Esme and by now her three sons were at the height of the Welsh Removals and Storage industry, they saw other business opportunities arise in the Vale and opened the very first self-storage facility which was later rebranded and expanded as Masons Self Storage, a 24/7 state-of-the-art storage facility based on the edge of Barry, just five miles from Penarth. Never standing still, just over ten years ago, Esme and her sons also saw a new trend emerge within the serviced office, meeting space and virtual office market and, in response, built the now highly successful Business Centre just next to the impressive Masons Self Storage Centre. Esme was a pioneer, even though it pained her to lose her husband after twenty-five years of marriage, she was so unbelievably resilient. She discovered a wealth of strengths and skills that had been hidden within her come to the surface and she thrived, becoming the cornerstone of the Masons Moving Group. Esme spent fifty years perfecting her customer service, many of her staff learned well from listening to her on the telephone as she spoke with both customers and suppliers. Esme has left behind a legacy; the Masons Group are as strong as ever with a fourth generation of Mason currently working their way up the ranks. Along with a strong sense of family, Masons are dedicated to getting involved with the local community, supporting wherever they can. From sponsoring local events like the Billboard Ensemble Christmas Panto 2018 to the sponsorship of Barry Athletic Bowls Club, the Masons Group provide support wherever possible. In particular, one cause that is close to their hearts is Woody’s Lodge. An Armed Forces charity who provide support to veterans and leavers of the Emergency Services, and their families. Masons have been with Woody’s Lodge since their beginnings in 2017. Sarah, Esme’s daughter, who has recently also joined the Group, discussed the family pride at working with Woody’s Lodge as it commemorates the memory of their father Eric, who served as a pilot in RAF Bomber Command throughout the Second World War. In addition, they have a long history of moving members of the Armed Forces and their families across the UK and Europe. Masons have grown from a small family business into a business at the forefront of their industries with Esme Mason central to its success. 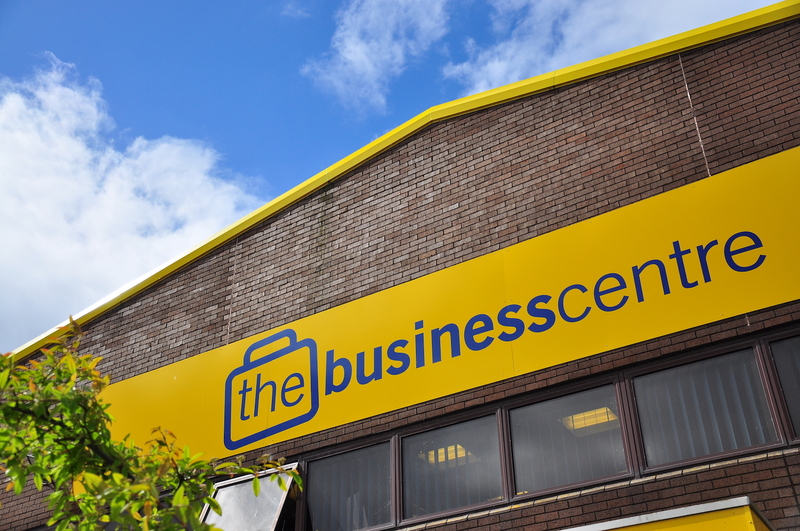 With Masons Moving Group, Masons Self Storage and The Business Centre, the Masons Group are able to offer a range of storage and removals services at great value prices on flexible contracts as well as modern serviced offices offering businesses in the Vale a great business community to be part of. You could certainly say that Esme left behind her a legacy to be proud of.